...and the richest Brazilians are as rich as the world's richest. 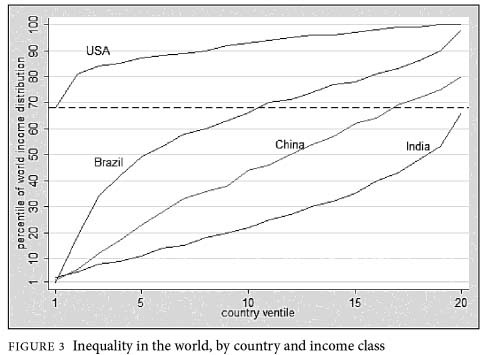 Furthermore, the median Brazilian has an income close to the poorest 5% Americans. The graph comes from "The Haves and the Have-Nots,” by Brancko Milanovic. (He is the coauthor (with Lindert and Williamson) of a great paper).